Happy Monday, friends! Another weekend has come and gone too soon, but let's get this week started on the right foot! Since it's a rather chilly day in our neck of the woods, I thought I'd take today to share a recipe for some good old-fashioned comfort food. This recipe for creamy slow cooker spaghetti was hearty, delicious, and bonus: it's made in the crockpot! This dish also made great leftovers. Since there are only 2 of us, we ate on it all week. If you are a pasta lover looking for a way to jazz up the simple Monday night spaghetti, this recipe is for you! 1. In a large skillet over medium heat, brown ground beef and drain any fat. Season with salt, pepper, and garlic salt. 2. Line crock pot with crock pot liner for easy clean up. 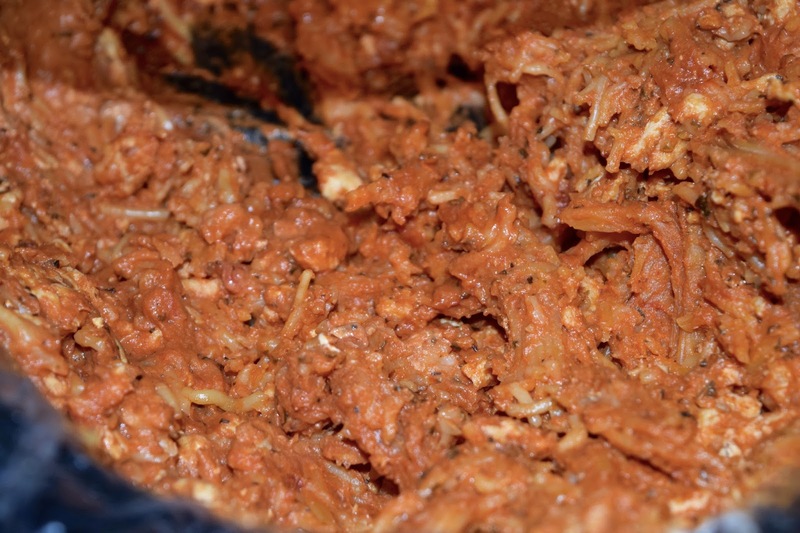 Pour one jar of pasta sauce into the bottom of the crock pot. 3. Break raw spaghetti noodles in half and place noodles over sauce. 4. Pour ground beef over noodles, sprinkle with Parmesan cheese, and top with cubes of cream cheese. 5. Top with your final jar of pasta sauce and cook on high for 4 hours, stirring occasionally. 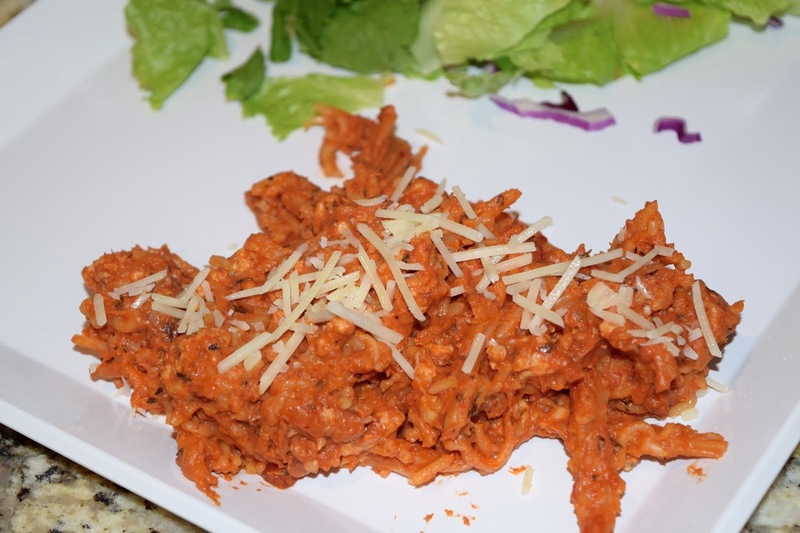 spaghetti and crock pot are two things I would never think to put together, but this is such a good idea! And like you said, would be great for leftovers! Oh nice! This looks like it would be easy to make. This looks and sounds so good! Yum! Mmmm. I could do this!